A young soldier (Kristen Stewart) escapes her suffocating small town by joining the military, only to find that she isn’t going for a tour of duty in Iraq as she hoped. Instead, she’s sent to Guantanamo. Met with hatred and abuse from the Muslim men in her charge, she forges an odd friendship with a young man who has been imprisoned at Gitmo for eight years. 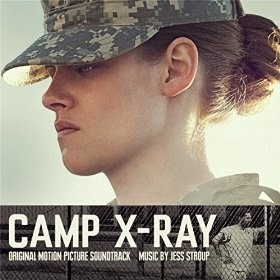 The movie soundtrack of Camp X-Ray will be released on October 7, 2014 by Lakeshore Records.